These take a bit of time.. It's sort of a 4 step process to chicken fried sin..
Chicken will shredded easily with a fork or you can use a knife. Just make sure to cut (or shred) the meat finely so it will mix well in with the other ingredients that go into the filling. It should make about 2 to 2 1/2 cups of shredded meat. Return the strained liquid back to the stockpot, add in the 1 tablespoon of olive oil and bring to a boil. Add flour slowly, while whisking vigorously until the dough forms. This only takes a minute so be careful. 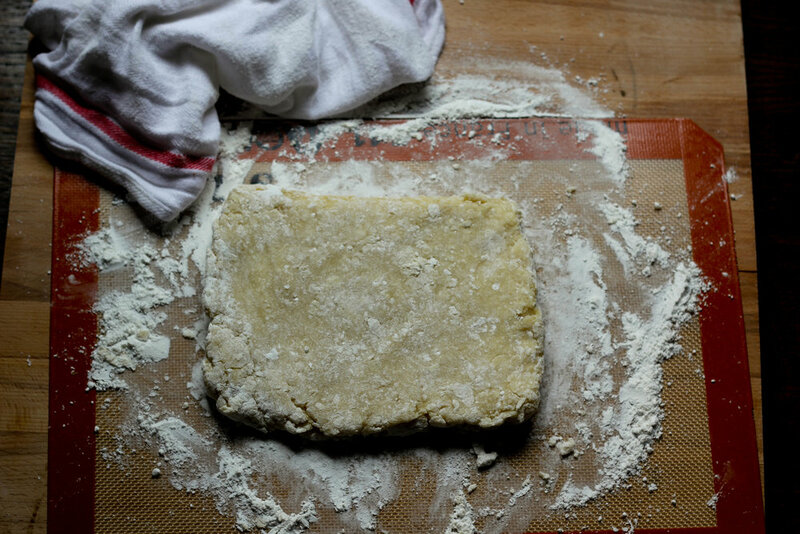 Remove from the heat and turn the dough out onto a lightly floured surface. 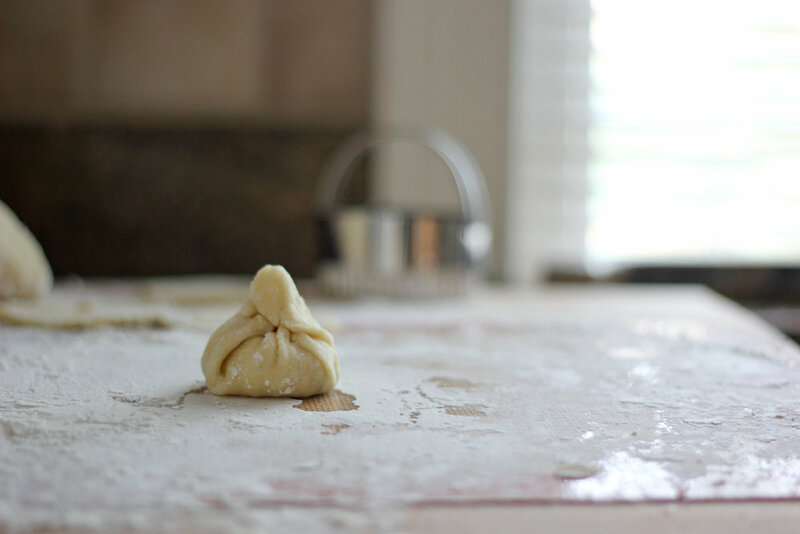 Knead by patting out to about a ½ inch then folding over and repeating this process about 3 or four times to smooth out the dough. (Same way I do for biscuits) Roll the dough out to about ¼ inch thick. Cut out small rounds using a 3in cutter or the floured rim of a round cup. Place about a spoonful of the filling mixture in the center of each round and pinch the top of the round together at the top to seal. It's supposed to be a teardrop shape, as you can see mine were more of a twist and twirl with a pinch at the top, but whatever. In a bowl, whisk together the egg and milk. Pour the bread crumbs out onto a plate, this will make it easier to roll the dough in. Carefully dip each pouch into the egg wash and the roll in the crumbs to coat. Set them on the wire rack lined sheet pan once coated. 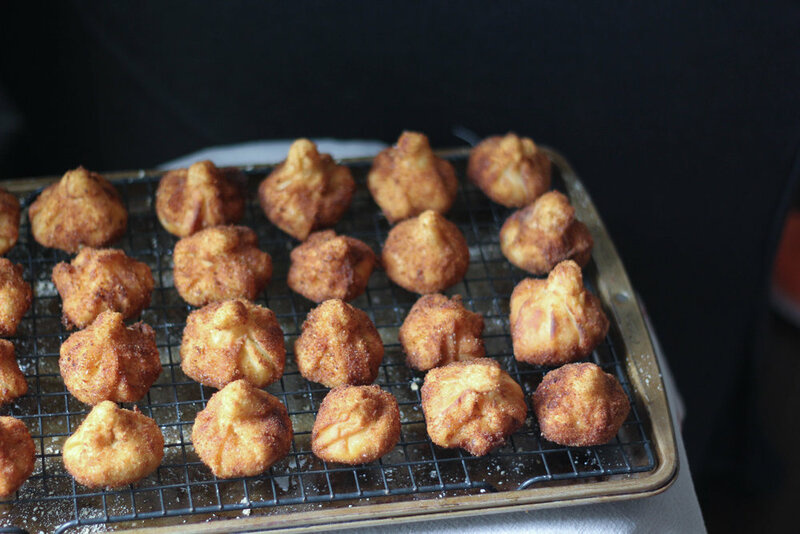 Fry the coxinha in small batches about 5 or 6 at a time until golden brown. Remove using a spider, slotted metal or bamboo utensil. Place them on the wire rack to allow any excess grease to drain.